If you have the basic knowledge of this marketing system, things are very easy. But when you are confused about the steps to follow, you will find this entire thing complex and difficult. The new webmasters always want their sites rank and get indexed. 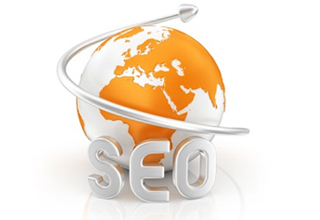 If you want the site rank high up, you have to follow the SEO tricks and strategies. If you can follow the principles correctly, you can go with the trends and reach the highest level. The marketers can easily understand the changes in the SEO trends and they change their methods in a way so that they keep the results improving. Here, I will talk about a small but very useful trick to rise high up in the search engines. Nowadays, most SEO masters don’t talk about the directories much, but the links from a directory is great and authentic. When you will have a backlink from number of sites, it will increase the credibility of your site and your content. There you can find thousands of web directories, but you don’t have to put your site link in many of them. Rather, consider a few quality directories that have good amount of visitors. A good link is 10 times better than a bad link. Another issue you will not found talked about in all the SEO conferences aboard. To be more specific, I am talking about the URLs you work with. You have to be very careful about posting the links in the directories; or, even when you are posting in the forums and blogs. If the keyword you are targeting has it’s presence in the URL, this makes your ranking process easier and simpler. You have to know the search engines have their algorithms and you have to stay in their focus but definitely under the radar. Make sure that you are working by the law. Usually, blogposts and HTML basic sites rank very well in the search engines. You should consider adding a blog to your site. This will again increase the credibility of your site, and increase the number of people paying visit to your site. These are few unorthodox techniques; you must follow them to get results in a short time. No matter what happens, make sure you have the basic things checked and maintained all through. Keep your eyes on the blog and learn more about the possible to-do’s that can help you in building your site visitors.